Are you in search of an effective way that would enhance the day-to-day operations of the warehouse? Bring the search to an end with warehouse line marking. 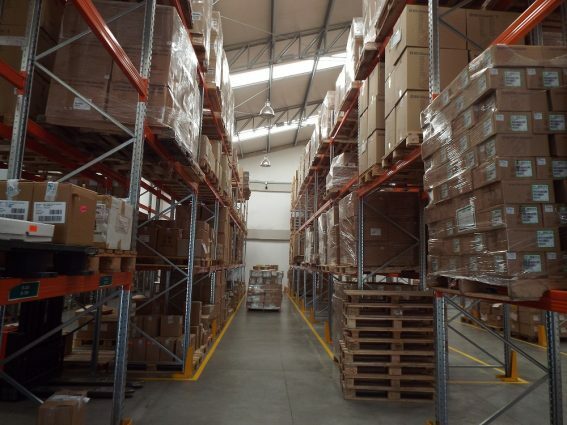 There are several studies that indicate the importance of an organized layout in the efficiency of the warehouse. It allows the visitors and employees to understand the workflow and room in just a glance. In fact, properly selected marking lines are one of the intuitive and fastest ways to communicate and that too without any hefty expenses. They are friendly to your pockets and you should use it. Despite the importance of these markings, there are many people who are confused with the idea of choosing them and the difference they will be able to cater. Highlighting the five exceptional advantages of warehouse line marking here it suggests how it can be the ultimate solution for almost any facility. #1. Optimization: Good line marking can keep the work environment perfect. For example, if the warehouse manages cosmetics or medical products that demand the highest level of hygiene then you must make it a point to get proper line markings. With this, you can easily store the products at their specified location. Further, an effective arrangement can be achieved that not only looks impressive but aids in efficiency too. #2. Safety: Whether it is production or manufacturing units, the safety of employees remains to be a major concern. To keep this at check you must invest in the right warehouse line marking solution. The different symbols and colours can be used to indicate unsafe areas of the workspace. As these zones will be highlighted, the worker remains alert and performs his/her duty cautiously. This means the employees are able to work competently even at the risked zones of the warehouse. They try to help you in every aspect keeping in mind to make you satisfied with their work. #3. Consistency: The markings specify the areas where certain products should be stored, how they can be accessed and where the vehicles must be parked. This indeed saves a lot of time, as the workers won’t have to guess where to place them. #4. Proper Flow of Traffic: Orderly movement can be assured with warehouse line marking. Thus, it allows you to combat the chaotic traffic and allows both machines and workers to work without any complications. For instance, the forklift operators won’t have to be vigilant about pedestrians; rather different marks can be made for vehicles and foot traffic. With these both can work together and set proper expectations, avoiding any sort of unwanted surprises at the corner. #5. Higher Profits: Productivity of the warehouse is linked with the profits of the company. When it’s about taking this at its peak level then warehouse line marking can do the trick. As using line marking supports the complete engagement of the workers and improves outputs or sales dramatically. #6. Minimal Accidents: Though accidents in the warehouse might be inevitable but their probability reduces to a greater extent with warehouse line marking. Even if something does not occur as planned then with the help of the marking any calamity can be managed promptly. The warehouse should be managed professionally with an efficient warehouse line marking system. You can decrease the risk of life-threatening hazards, damage to the property and products with them. However, while planning a good system always remember to understand what your priorities are and how you want the final outcome to be. A planning before executing it is a difficult task, so make sure to approach the right agencies.